Joe Weitekamp is an experienced clinician who has helped many horses and their owners achieve new levels of success. Joe offers both groundwork and horsemanship clinics that can turn your horse into the dream horse you always wanted. No matter what discipline you ride, having a gentle horse means you will enjoy your riding more. Joe Weitekamp can equip you and your horse with the training you need to have a safer more relaxing ride. If you want to attend a clinic and don’t see one near you, talk to Joe about our special hosting package for folks who will host a clinic at their facilities. Below are descriptions of the Clinics Joe offers. Joe can also customize private clinics based on client’s needs. Who Should Attend: Anyone who wants to enhance their communication with their horse. This course will increase your confidence and help you have a safer riding horse. Interested in participating in a clinic? Call Joe today at 469-245-7821.
Who Should Attend: Anyone who wants to take their horsemanship to the next level. This course will improve your skills and and communication with your horse, which will result in a more willing horse and help you have a safer riding horse. Who Should Attend: Anyone that has mastered the previous levels and wants to take their horse, and horsemanship to the next level. 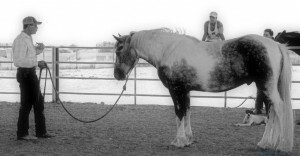 The ideas and techniques discussed in this clinic are designed to advance the skills of the everyday horseman as well as the avid competitor.